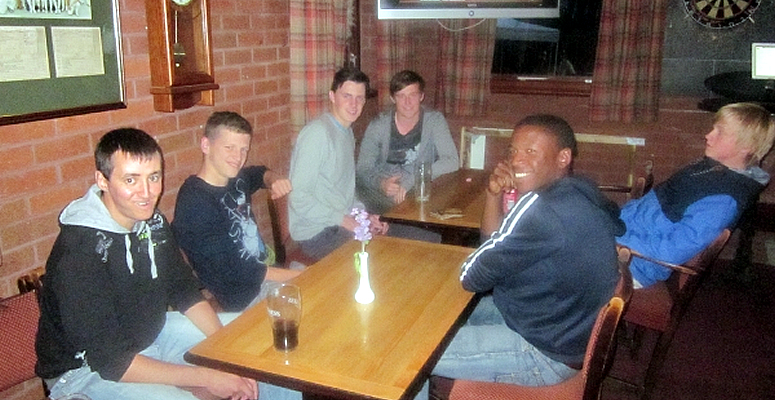 The Loyalty Card scheme was introduced at the Old Owens Sports Club on the 1st October 2011. Loyalty Cards are issued to Full or Associate members of the Old Owen’s Association and Sports Club Limited . The Loyalty Card entitles members to a 10% discount off drinks at the bar. The initial process of obtaining a Loyalty Card is to apply for a paper membership card via the completed Membership Application Form, which is then taken to the Club so that a Loyalty Card can be issued by John or Lynn Clark (The Managers). Application for a paper membership card is made to Alan Hunter (Membership Secretary of the Association). For contact details for the paper membership card or to become a Member of the Old Owen’s Association and Sports Club Limited, see Membership Application Form. Membership Appllcation Forms can also be obtained from John or Lynn at Old Owens Sports Club. Players from the Football and Cricket Teams at Old Owens have to pay subs so should be entitled to a Loyalty Card, so have a word with your Manager or Team Captain if you haven’t got one.